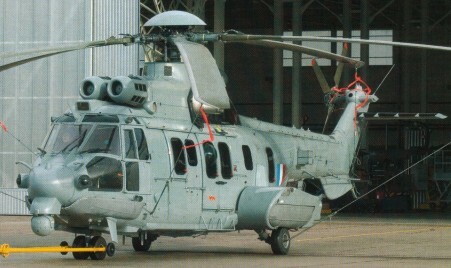 Eurocopter EC-725 Cougar (military Super Puma Mk.2). 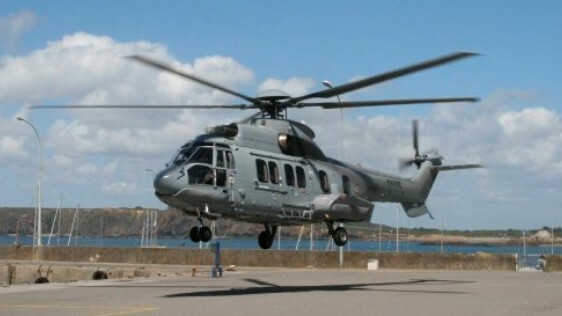 The Eurocopter EC 225 civilian and its EC 725 militarized variant is an improved version of the Puma family line. This system first flew in November of 2000 and features a five-bladed main rotor assembly. It also has a larger cabin with newer Makila 1A4 turboshaft engines featuring FADEC (Full Authority Digital Engine Control), a greater Maximum Take-Off Weight (MTOW) and revised EFIS avionics.